BREATHTAKING VIEWS! Welcome to this 2 bed, 2 bath, 2 parking, 3 level townhouse. 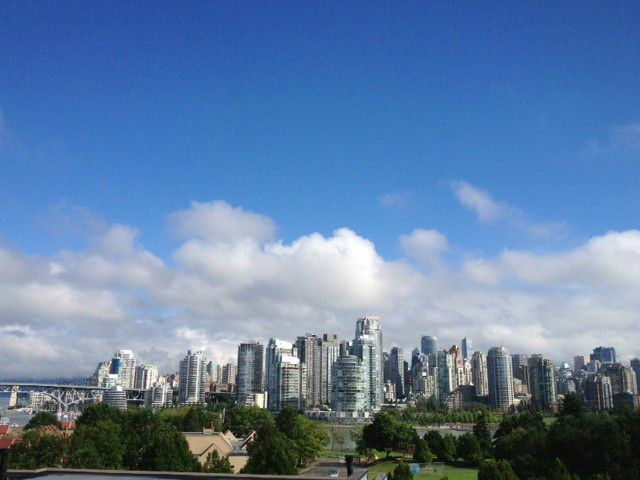 Enjoy unobstructed, amazing views of the Vancouver downtown skyline from your large private deck. Walk along your pretty, quiet,tree-lined street to either Olympic Village, Granville Island, or the nearby skytrain to any destination you choose! Inside this wonderfully maintained home you will find upgraded stainless steel appliances, granite countertops, custom mill cabinetry, and beautiful cherry hardwood floors. Relax in your oversized soaker tub while looking through one of the many skylights. The home runs North to South throughout, giving you Vitamin D, and inspiration from all angles. Call today!